Would you like to skyrocket your Amazon commissions by using the best Amazon Affiliate WordPress plug-in? Of course you would! I never used to be a huge Amazon Affiliate because actually making an Amazon affiliate link manually was far too much work for me, especially considering how many products that site has. You had to go to the Amazon site, search through millions of products, create an affiliate link, copy the code, then paste it into your site. I did not have time for that! But then I found the best Amazon affiliate WordPress plugin in the world! Of course I am talking about Chris Gutheries Easyazon WordPress plug-in that has actually been around for a few years. It started out a bit clunky but it has actually developed into something amazing. It always was very useful and it really increased my Amazon Affiliate sales, but now it is even better. Now if you are a follower of this blog, you know that I rarely recommend products on this site. I have a select few that I personally use and love and this plugin is one of them. It is a tool that is easy to use and makes money for me, hands off, even earning money while I sleep. I have many websites and some are just brewing in the background to see if they are good enough to invest time in. Anyway I installed the EasyAzon WordPress Plugin to one of these sites and I was shocked at the results. I did not even realise that the site had any real visitors, but obviously I was wrong. I published an article http://smallusbflashdrive.com/the-new-kindle-fire-is-cool-for-kids/, not even written by me. I used this plugin to add some Amazon affiliate links into the post and here are the results I got in that month. See the shot below and look at the Kindle products I sold. Prior to this I had not even published anything about Kindle or even used an Amazon affiliate link on this site.. . I also published a post about Xbox and made two sales related to that. The other thing is, I did not promote these posts but still made sales. This website is not that great, has a very small amount of traffic (under 200 a day), and absolutely nothing special was done here. So what does mean? It means that anyone can do this! So what other features does this plugin have? If you’re creating links manually without this plugin, going to Amazon.com, you are 100% guaranteed to be missing out on commissions and wasting a lot of time in the process as well. Why? because not all of your website visitors can buy from the United States Amazon.com. That means that when someone from China clicks on your affiliate link to buy, you do not get credited for the commission. If you are using this plug-in you will though. That is a MASSIVE benefit! This is a crazy feature that has really hit the money making nail on the head. We all know that Amazon cookies only last for about 24 hours. That means that a customer who clicks your affiliate link must buy something within 24 hours for you to get the commission. So it is touch and go if you get a commission or not. But if they decide to add that item to their shopping cart on Amazon then you have the item will be in there for ninety days before it expires. So obviously you want people to buy an item now or add it to their cart. This plugin will help the user add it to their cart. How cool its that? So when they return to Amazon to buy something else, or browse aroun, they see the item that has your cookie attached still waiting in the shopping cart. Now they have a second chance to give you a commission, otherwise the possibility of commission would have long disappeared. Creating an Amazon link or image info box on Amazon looks messy, the code is long and scrambled and the user views are outdated. The EasyAzon plugin takes control of this and inserts professional looking graphics and buttons. Not only that, this plugin will cloak your ugly affiliate links and make them look pretty. Easyazon allows you to search for a product to link to from within your WordPress post, therefore saving time. It also gives you some important choices for these links, one of them being the choice to nofollow the affiliate link. This is good as you do not want to give all your link juice to your affiliates as you are already sending them your website visitor. Watch this video that is none minutes long and shows me adding one Amazon affiliate link and one image link. After watching this you will then understand why i need the EasyAzon plugin. If you are serious about making money from Amazon then you must check out this amazing WordPress plugin. It is not only a tool I cannot do business without, it is a stand alone money maker working full time for you. I have just added Amazon associate banners to my blog and in 3 days I haven’t generated a single sale. Never heard about this plugin, now I will start using this. Lets see how this improve my amazon earnings. The best way to make money is to place links within great content and then get traffic to that page. Bannners in random places are not that great! First off all i would like to say to you a wonderful thanks for this amazing and very knowledgeable article. And sir your sales stats is mind blowing and sir this is amazing. but sir do you know something about how i can increase more and more income from blog. Sir can suggest me a good article or short knowledge regarding my question. Thank for useful info. There is some other plugin like simple amazon plugin, shopperpress theme, which you can do lots of things and stuff. You can check more information on my site seopumpkin dot com. Ken Nguyen recently posted..Getting Started with Amazon Product API and setting up your first WordPress site. Thanks for share this information. I have been thinking about creating an Amazon site for a while and looking at this plug-in I think this is the way to go. Very interesting post dude…………There is a lot to learn from this post. The plugin is very useful and interesting. Thanks for sharing it. Even I liked the plugin you are using for your site. Aktar recently posted..How Much Does A Crane Operator Make? Glad to have found this post, i used to use an Iframe on one of the pages of my site using Amazon affiliate, and this plugin seems much easier to use than complicating myself with html coding. Thanks. Awesome and significant post. I never recognize about “making costumer put the stuff in cart”. I just believe click and buy in 24 hours. Thanks a lot. yes this is a big advantage. This plugin works really well as seen from your statistics. I had tried some free Amazon affiliate plugins for my blog but i never got any sales through them . I’ll be trying out this EasyAzon plugin soon . I hope this plugin works for me as well. Thanks for making us aware of this amazing plugin Mitz ! 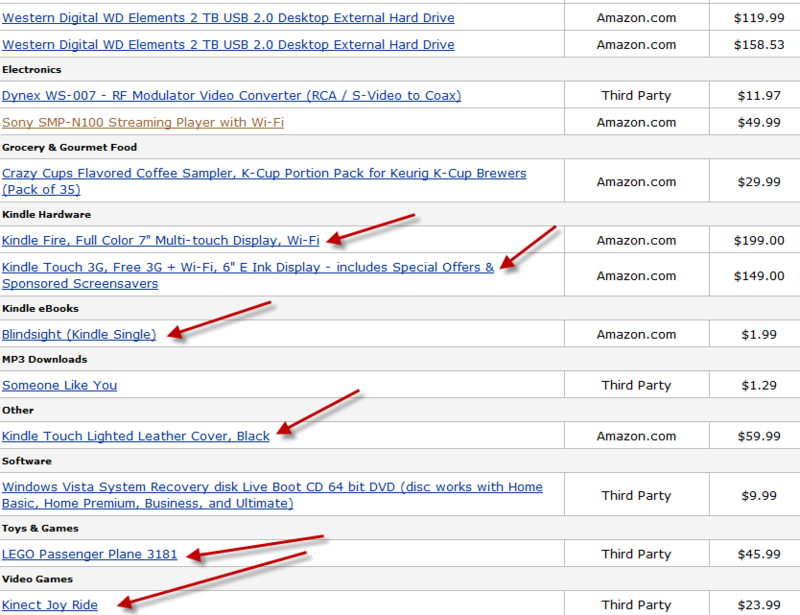 The thing I like about amazon is that they are very good at converting visitors to customers. I am personally not that good at pre-selling so its nice that I just have to send decent traffic to amazon and they do all the heavy lifting. I also agree that copy and pasting amazon links is very time consuming and is something that has always annoyed me. I bought Chris’ plugin earlier this year for a blog that I wanted to specifically use amazon only on. It really is worth every penny as it quickly saves you quite a bit of time being able to auto generate links into images and hypertext affiliate links. You could do it by hand but honestly your paying for a plugin that lets you better spend your time by developing instead of having to add each and every link by hand. Very intriguing plugin! thanks for share very informative article. I simply put your internet inbound links physically also it functions good to me, but I start to see the worth on this. I will be adding this to my blog ASAP. Thank you for the heads up. I have been looking for an easier way to add amazon links. Will this plugin have any effect on my website speed? I wouldn’t want to slow the site down. I’m particularly impressed with the ability to geotarget one’s Amazon Sales. This alone is more than enough to get the plugin.great Article. it is really interesting, I hope everybody likes this Post. Very interesting plugin! I just insert the affiliate links manually and it works fine for me, but I see the value in this! You cannot do that with a normal link… That is why this plugin is awesome! I’m impressed with your sales stats ( still working to get to such level). I’m particularly impressed with the ability to geotarget one’s Amazon Sales. This alone is more than enough to get the plugin.